When I was in college, we had a saying, "if you don’t know what to play, put on Steely Dan". Everyone liked Steely Dan. In my family, the artist that fits that bill today is Belle and Sebastian. Everyone loves Belle and Sebastian. 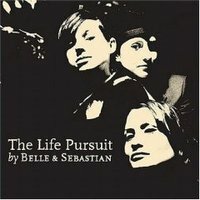 They put out a terrific record this year, called The Life Pursuit. It’s full of that wonderful Belle and Sebastain sound, but its a bit more up tempo than their usual efforts. And that’s a good thing. I’ll post a couple tracks from this record later (having Internet issues in Venice). Newer post Venice’s Canals Older post If Pigeons Are Just Rats With Wings ….